One of my favorite places to save a dollar on food is the bulk bin section of my grocery store. Not all stores offer bulk goods, but it’s a a great feature when they do. I always feel like a kid in a candy store when browsing the bulk goods. So many colors, textures, and flavors; I want to try them all! Why do I love the bulk bins? Because they allow me to buy the exact quantity of food that I need, they reduce packaging waste (especially if you use reusable bags, like these), and allow me to try out new foods without committing to a large quantity. And, most importantly, you can often get a lower price per pound than the pre-packaged items on the shelf. That being said, it’s always smart to compare the prices found in the bulk bins to packaged goods. 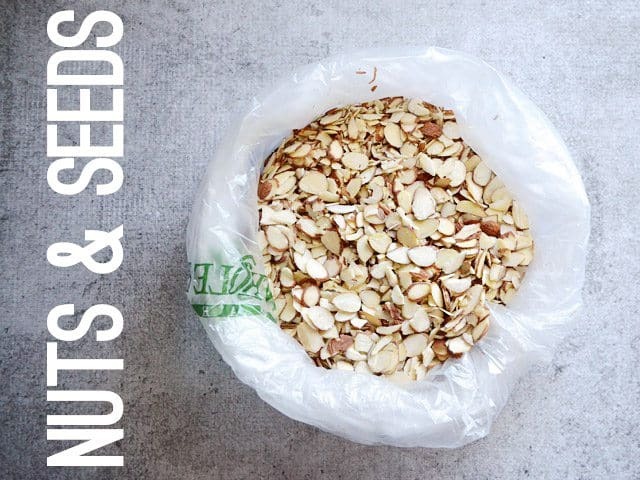 Depending on the item, you might find a generic packaged version for a lower price than bulk, which are sometimes reserved for organic or specialty varieties. Many larger grocery stores are now offering bulk goods, but I find that natural and ethnic food stores seem to have a better variety and lower prices. 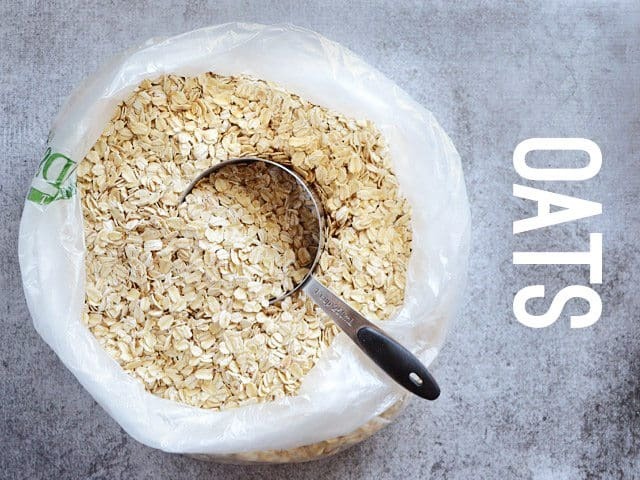 Oats used to be one of the cheapest items in the cereal aisle, but ever since their heart healthy attributes made them the most popular kid in the class, the price has sky rocketed. A large tub of name brand rolled oats at my local grocery store runs almost six dollars! And generic is only slightly less. No ma’am. Oats should not cost that much. 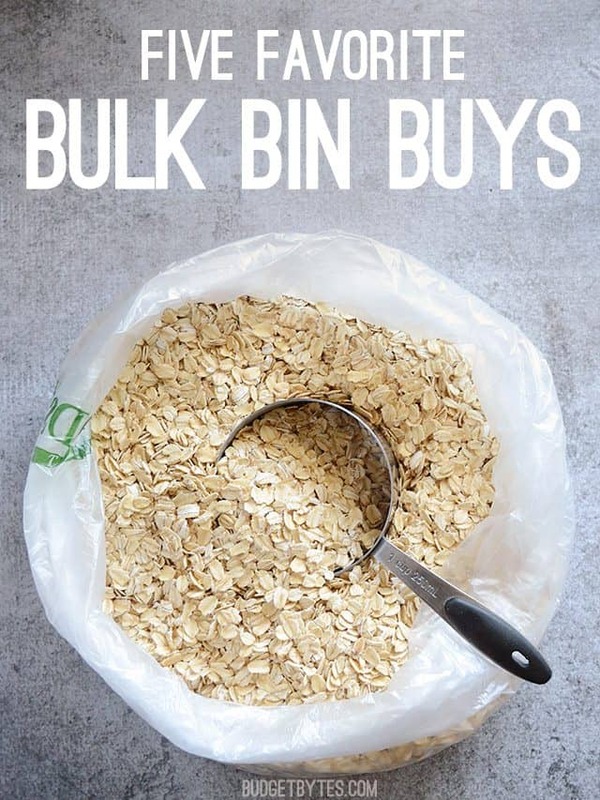 So, I stock up on my oats at the bulk bins. Not only are they less expensive, but I’m not left with that big bulky cardboard tub afterward. If I had kids, I’m sure that empty tub would come in handy for art projects, but I don’t, so it’s just more packaging. 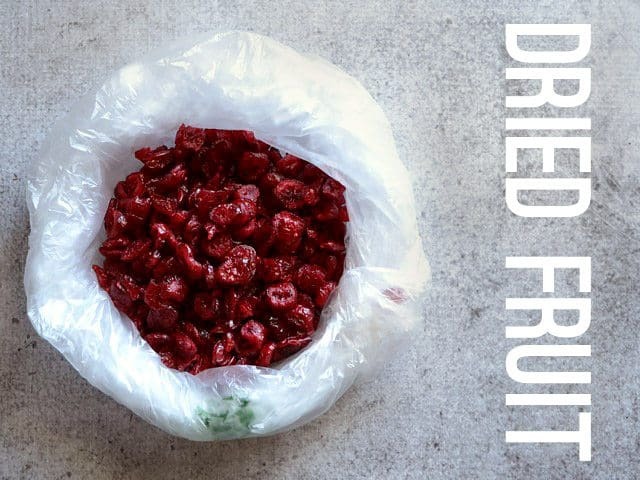 Dried fruit is another item that is usually very pricy, so I prefer to buy the small amount that I need rather than buying a large package and being forced to find a use for the leftovers. Once again, you’ll usually find more variety in the bulk bins, with options like sulfured vs. non-sulfured, or sweetened vs. unsweetened. Not to mention all the fun dried fruit, like papaya, mango, and pineapple. I don’t have a big sweet tooth, but sometimes I want just a little treat. I might want one cookie, not a box of cookies. I might want a half handful of chocolate covered almonds, not a whole bag of chocolate covered almonds. The bulk bins allow me to do just that. I’ve been known to buy 5-6 mini chocolate covered pretzels from the bulk bins and leave it at that. Three or four malted milk balls? Sure. Although, I will say that one time I bought such a small quantity of something that the scale at the register couldn’t detect it, but I guess I had to learn the limits some how. The only caveat to buying food from the bulk bins is that you need a container to transfer them into later. Sure, you could keep them in the plastic bags used to transport them home from the store, but they’re not air tight so your food will go stale faster. 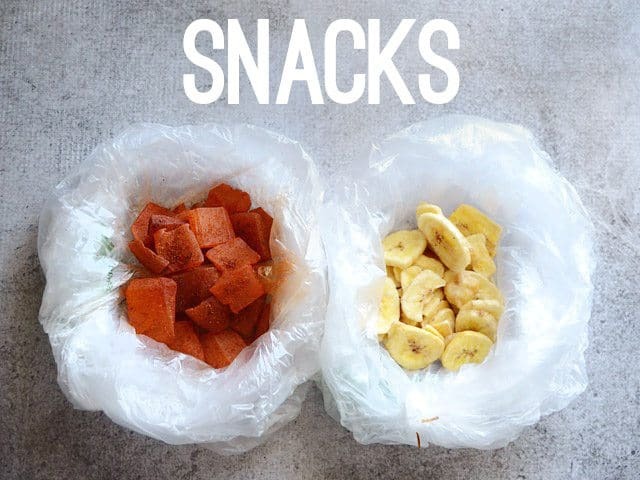 Plus, having 20 different plastic bags in your pantry can become a mess. So, here are some ideas for storage containers. I have two of these Better Homes & Gardens Flip Tite container sets that I use for my flour, sugar, grains, and other large quantity dry goods. I love them and they’re quite inexpensive. Most home goods stores will have some sort of container that is similar, whether plastic or glass. For miscellaneous small items, I use the same Ziploc reusable plastic containers that I keep most of my refrigerated and frozen food in. Ziploc bags are another option and the freezer bags have a label area, which is great for noting date of purchase to keep things fresh. If you don’t like plastic, mason jars are a great option. Or, if you need larger storage, there are a variety of large glass jars and canisters made specifically for food storage. Make sure to get the type with a gasket lid to keep air and moisture out of your food. The great thing about glass storage is that they can last a lifetime and are usually very pretty when displayed in the kitchen. You may even be able to find quality glass storage containers at thrift shops. 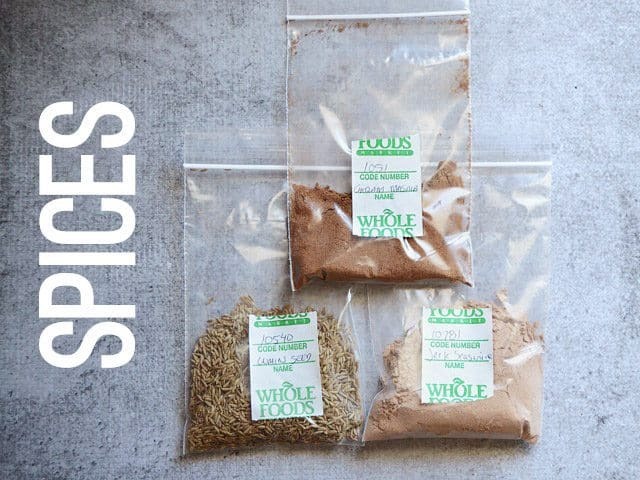 A great way to store bulk spices is to simply save your old spice container and refill it with the newly purchased bulk spices. Or, get some really cool brand new glass spice bottles. You can wash and reuse them so they’re a good investment. I have recently streamlined my bulk storage. I use wide mouth mason jars and buy a quart of beans at a time. I take a quart measure in my bag so I can make sure it fits in one jar. I tend to use beans in 1 cup measurements so that works really well for me and my system. I can also pour half jars into the next smaller size (pint) and wash and reuse the quart jar. I keep a canning funnel around for this. I like that the jars don’t get dusty while sitting there because they are rotated. Wide mouth get cleaned in the dishwasher too. 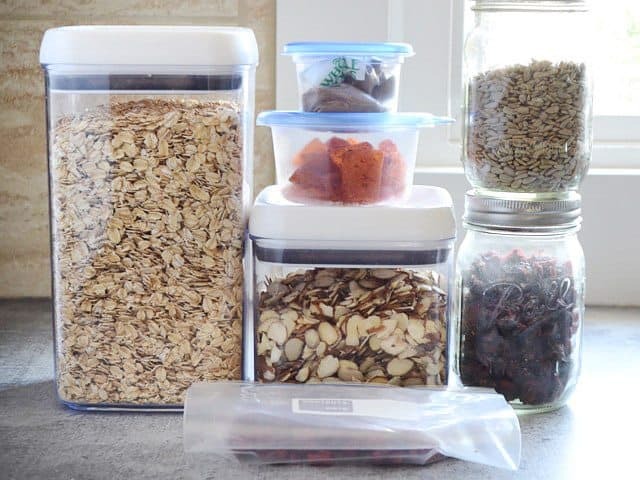 I love storing my bulk/loose foods in glass mason jars. I bought a little tool from Ziploc that basically sits on top of the jar with the flat part of the lid on, pumps out the air from the jar, and creates a pretty decent seal to keep out air and maintain freshness. Obviously, it’s not a substitute for canning, but it works really well. I also use it to meal prep little salads, fruits, veggies, etc. Because sucking out the air keeps things fresher for longer.